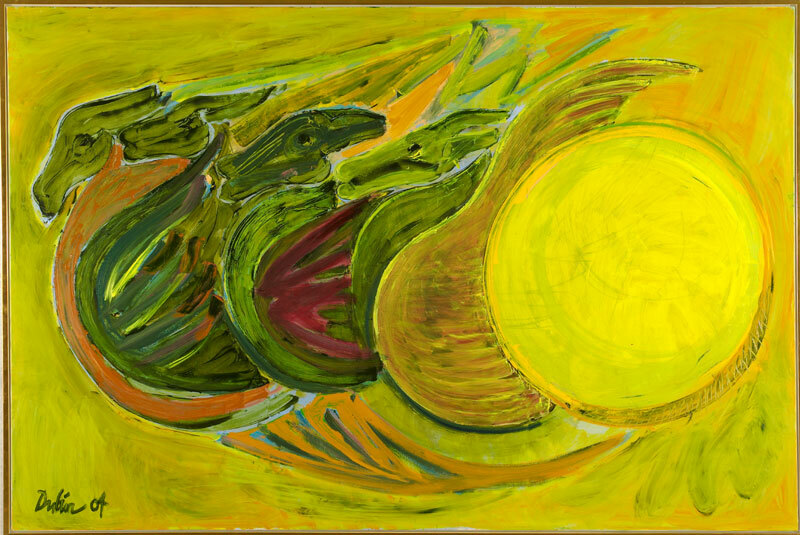 From July 26th (2004) during the olympics and ongoing, there is an exibhition called "Greek Gods and Myths" with 10 large painting by the Danish artist Maria Dubin in Athens, Greece. The exhibition is held in the center of Athens at 23 Vas. Sophias Ave., Kolonaki. In order to view the full-size images below, you need to login with your members username/password. Becoming a member of this forum is completely free, takes less than a minute and only requires a working email-address. Click here to join. Last edited by Frederik Magle; Mar-29-2006 at 22:36. Update: All the paintings can now be viewed on this forum. I like the little detail in Dionysus. In the green background there are some women. Artemis and Helios are my favourites. I would have loved too see them in Athens. Maria has a very nice use of colours. I mus defianately give her that. Love your work, especially Hydra, Dionysus, Nike and Artemis and i like the way you use the colors and well the way you paint (difficult to explain). I am not a painter myself (no talent there either), i just love to look at and admire paintings especially 3 of "the 4" (Lundstrøm, Johansen and Salto), but i hope to see more of your paintings in the future, that would be nice.